Homelegance Dresser and Mirror Paula II EL1348DC-56. The Paula II dresser and mirror in refined European design looks fabulous with its charming modern look. Constructed of New Zealand pine solids and veneers in dark cherry finish featuring updated crescent shaped handles. The symmetrical slat design of the headboard and mirror plays together with coordinating case pieces to create a perfect harmony. 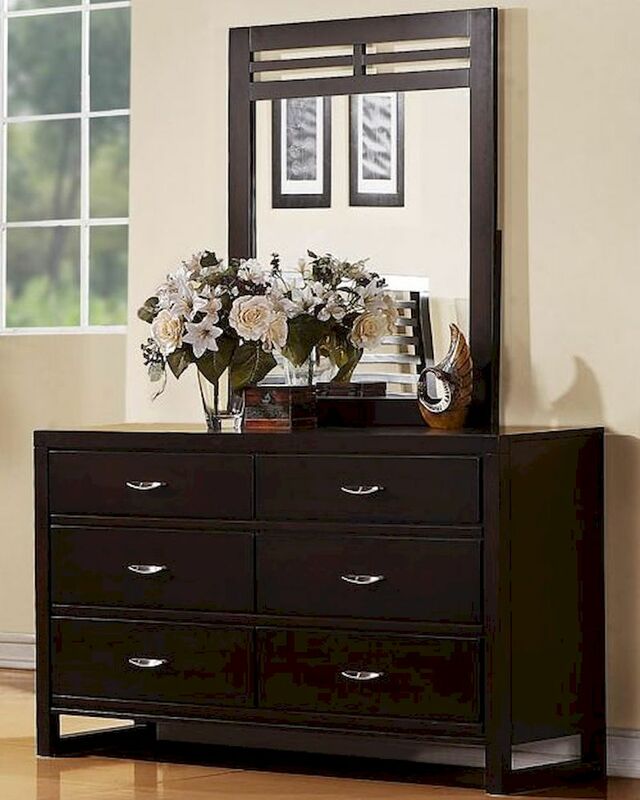 Dresser - 56.5"W x 18"D x 34.5"H.
Mirror - 32"W x 1"D x 42"H.